I have a small catering service that specializes in Chinese food. It isn’t practical to cook large amounts of rice on a stove, so I was looking for a good high capacity rice cooker. The Thunder Group SEJ50000 appears to be the perfect choice for me. It quickly makes 60 cups of rice in just 30 minutes, and keeps rice warm for hours, which is exactly what I was looking for. 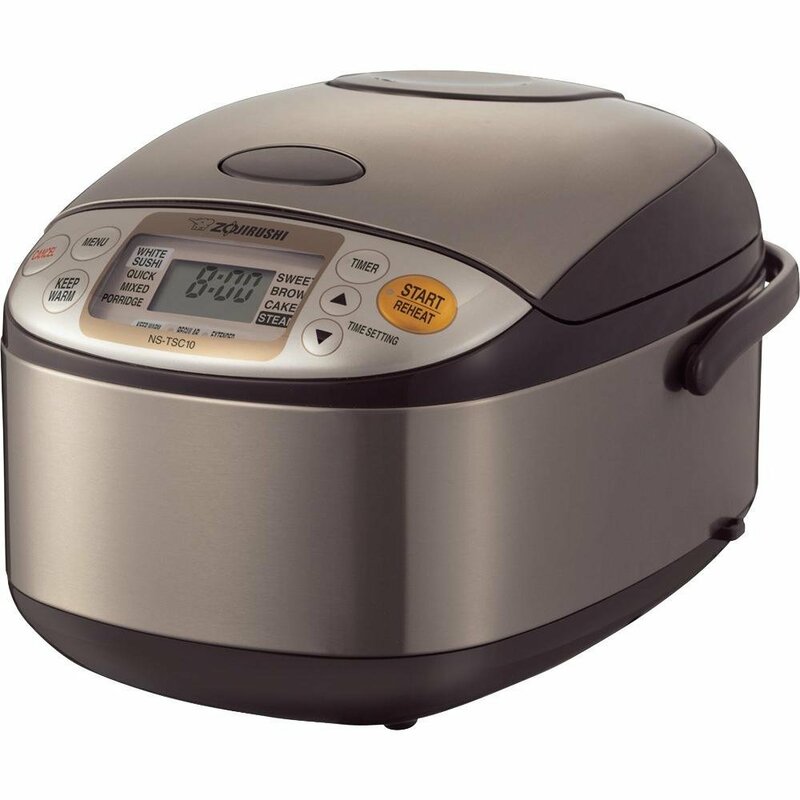 This rice cooker is made of stainless steel, with an aluminum inner cook pot. It has a durable white powder coated body that makes it easy to wipe clean. When empty, it weighs around 20 lbs. It automatically controls heat and timing, so all I have to do is add the rice, and the water and it will cook while I can work on the rest of the menu. Makes 30 cups/60 bowls of rice. Cooks 30 cups (dry) rice in 30 minutes. Bright polished finished stainless steel top cover. Easy to open stainless steel lid with durable handles and sturdy legs. Cooks and keeps rice warm. Heavy grade aluminum inner cook pot. Free Rice spatula and 5 cup measuring cup. One touch lever operation that automatically switches from cook to warm mode. NSF safe and UL approved. Ideal for buffet, brunch, catering, party, wedding banquet and kitchen area. It is difficult for me to recommend this product; function-wise, it is comparable to other similarly sized rice cookers. However, it is priced higher than most other cookers in the same range. No purchasers have reviewed it, so I can’t say whether it is worth the extra money. It does have some nice features though, and appears to be durable and overall well-made.